B. Okumus, D. Landgraf, GC Lai, S Bakhsi, J. C. Arias-Castro, S.Yildiz, D. Huh, R. Fernandez-Lopez, C. N. Peterson, E. Toprak, El Karoui M., and J. Paulsson. 2016. Mechanical slowing down of cytoplasmic diffusion allows in vivo counting of proteins in individual cells. In positive revision Nat. Comms. In the press Nat. Comms. Deloger, M., El Karoui, M., and Petit, M.A. 2009. A genomic distance based on MUM indicates discontinuity between most bacterial species and genera. J Bacteriol 191: 91-99. Touchon, M., Hoede, C., Tenaillon, O., Barbe, V., Baeriswyl, S., Bidet, P., Bingen, E., Bonacorsi, S., Bouchier, C., Bouvet, O., Calteau, A., Chiapello, H., Clermont, O., Cruveiller, S., Danchin, A., Diard, M., Dossat, C., Karoui, M.E., Frapy, E., Garry, L., Ghigo, J.M., Gilles, A.M., Johnson, J., Le Bouguenec, C., Lescat, M., Mangenot, S., Martinez-Jehanne, V., Matic, I., Nassif, X., Oztas, S., Petit, M.A., Pichon, C., Rouy, Z., Ruf, C.S., Schneider, D., Tourret, J., Vacherie, B., Vallenet, D., Medigue, C., Rocha, E.P., and Denamur, E. 2009. Organised genome dynamics in the Escherichia coli species results in highly diverse adaptive paths. PLoS Genet 5: e1000344. Chiapello, H., Gendrault, A., Caron, C., Blum, J., Petit, M.A., and El Karoui, M. 2008. MOSAIC: an online database dedicated to the comparative genomics of bacterial strains at the intra-species level. BMC Bioinformatics 9: 498. Mercier, R., Petit, M.A., Schbath, S., Robin, S., El Karoui, M., Boccard, F., and Espeli, O. 2008. The MatP/matS site-specific system organizes the terminus region of the E. coli chromosome into a macrodomain. Cell 135: 475-485. Val, M.E., Kennedy, S.P., El Karoui, M., Bonne, L., Chevalier, F., and Barre, F.X. 2008. FtsK-dependent dimer resolution on multiple chromosomes in the pathogen Vibrio cholerae. PLoS Genet 4: e1000201. Halpern D., Chiapello H., Schbath S., Robin S., Hennequet-Antier C., Gruss A., El Karoui M. 2007. Identification of DNA motifs implicated in maintenance of bacterial core genomes by predictive modeling. PLoS Genet. 3:1614-21. Bigot S., Saleh O., Lesterlin C., Pages C., El Karoui M., Denis C., Grigoriev M., Louarn J.-M., Allemand J.-F., Barre F.-X., Cornet F. 2005. Identification of DNA motifs in the E. coli genome that control chromosome segregation by orientating the FtsK translocase. EMBO J. 24, 3770-3780. Chiapello H., Bourgait I., Sourivong F., Heuclin G., Jacquemard A., Petit M.-A., and El Karoui, M. 2005. Systematic determination of the MOSAIC structure - backbone vs strain specific loops - of bacterial genomes. BMC Bioinformatics 6:171. Halpern D., Gruss A., Claverys J.-P., and El Karoui M. 2004. rexAB mutants in Streptococcus pneumoniae. Microbiology. 150 : 2409-241. El Karoui M., Errington J. 2001. Isolation and characterization of topological specificity mutants of minD in Bacillus subtilis. Mol Microbiol. 42:1211-21. Thomaides H.B., Freeman M., El Karoui M., Errington J. 2001. Division site selection protein DivIVA of Bacillus subtilis has a second distinct function in chromosome segregation during sporulation. Genes Dev.15(13):1662-73. Quiberoni A., Biswas I., El Karoui M., Rezaiki L., Tailliez P., Gruss A. 2001. In vivo evidence for two active nuclease motifs in the double-strand break repair enzyme RexAB of Lactococcus lactis. J Bacteriol. ):4071-8. Quiberoni A., Rezaiki L., El Karoui M., Biswas I., Tailliez P., Gruss A. 2001. Distinctive features of homologous recombination in an 'old' microorganism, Lactococcus lactis. Res Microbiol. 152:131-9. El Karoui M., Schaeffer M., Biaudet V., Bolotin A., Sorokin A., Gruss A. 2000. Orientation specificity of the Lactococcus lactis Chi site. Genes Cells. 5:453-61. El Karoui M., Biaudet V., Schbath S., Gruss A. 1999. Characteristics of Chi distribution on different bacterial genomes. Res Microbiol. 150:579-87. El Karoui M., Amundsen S.K., Dabert P., Gruss A. 1999. Gene replacement with linear DNA in electroporated wild-type Escherichia coli. Nucleic Acids Res. 27:1296-9. Biaudet V., El Karoui M., Gruss A. 1998. 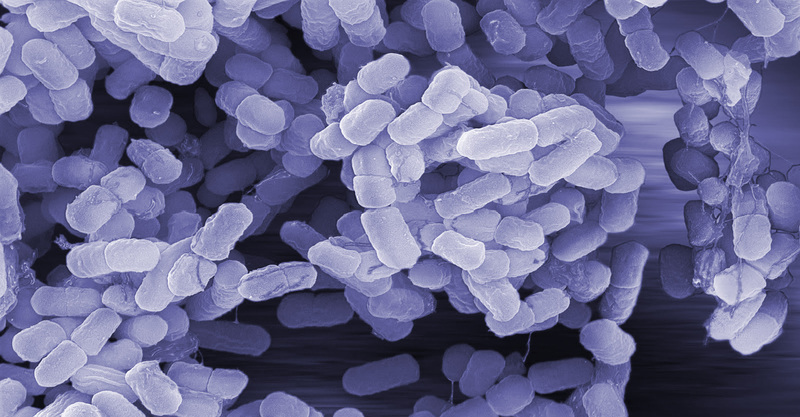 Codon usage can explain GT-rich islands surrounding Chi sites on the Escherichia coli genome. Mol Microbiol. 29:666-9. Sourice S., Biaudet V., El Karoui M., Ehrlich S.D., Gruss A. 1998. Identification of the Chi site of Haemophilus influenzae as several sequences related to the Escherichia coli Chi site. Mol Microbiol. 27:1021-9. El Karoui M., Ehrlich D., Gruss A. 1998. Identification of the lactococcal exonuclease/recombinase and its modulation by the putative Chi sequence. Proc Natl Acad Sci U S A. 95:626-31.